The start of a new academic year should be an exciting time for the 19.9 million students who recently began or are continuing in college. But for many students, college also brings stressful financial decisions. These decisions weigh on many students, but the burden is often heaviest for those who are balancing school with full time jobs, care-taking responsibilities, and other individual circumstances in their lives. We know the college experience is rife with hidden behavioral barriers that get in the way of students’ financial stability—and crucially, their path to graduation. Between rising tuition and fees, extremely expensive textbooks, and the costs of transportation, housing, and food, managing the costs as a college student in the United States is undeniably challenging. In fact, it’s a major reason many students don’t complete their degree, which puts students in the double bind of having to bear the price of postsecondary education without reaping the benefits. While support is available in the form of financial aid, scholarships, and loans, navigating the systems for accessing these options presents its own set of challenges, and managing the funds they make available is seldom straightforward. Fortunately, there are opportunities to ease this burden for students. With the generous support of MetLife Foundation, we’ve identified five high-potential opportunities, rooted in insights from behavioral science, to support students’ financial health on the journey to, through, and after college. Some of these areas already have a robust evidence base and are ripe for expansion and scaling of impactful solutions. Others represent opportunities to investigate new solutions to the challenges of student financial health. One such opportunity is to expand and scale interventions to increase FAFSA filing among students. Perhaps unsurprisingly, submission of the Free Application for Federal Student Aid (FAFSA), which can unlock thousands of dollars in financial support, can be linked to persistence through college, especially among low-income students. What may be surprising is that every year students forgo billions of dollars in grant funds (which don’t have to be paid back) because they either submit their applications late, or don’t apply for aid at all. 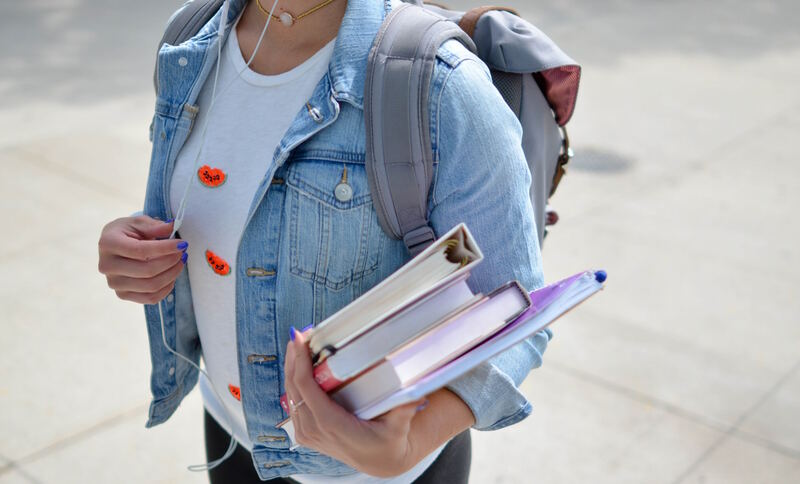 Although filling out a form may seem straightforward on its face, with more than 100 fields to fill out – some of which are complex, intimidating, and require a time commitment to find the information – the FAFSA can be a daunting challenge. Light-touch solutions grounded in behavioral science have been shown to consistently and significantly boost FAFSA filing rates at minimal cost, but even these successful solutions are not always scaled widely. Moreover, FAFSA programs often target incoming students only, leaving returning students without needed support throughout the re-submission process. As we’ve learned in our own work with students at City University of New York (CUNY), this is a huge opportunity for impact, as many students don’t renew their FAFSA in large part because they incorrectly associate the submission process with starting college, and don’t realize they need to file it each year they’re in school. Knowing this, our recent work with the CUNY aimed to expand proven FAFSA support programs to continuing students. The intervention consisted of a series of emails and text messages encouraging students to make a plan to complete the FAFSA at a certain time and location, correcting misperceptions about eligibility and the consequences of not filing, making support services more salient, and providing regular and well-timed reminders of critical steps. When tested with three CUNY campuses, FAFSA renewal rates increased by 31%. In addition to being effective, the intervention package is highly cost-effective: each dollar spent on the communications to students generated almost $250 in additional student aid. It is critical for college administrators and other practitioners to scale these proven interventions to ensure that all students have access to the support they need to complete the FAFSA and receive all of the aid for which they are eligible. It could be the difference between persistence and dropping out for many students. Another high-potential opportunity we’ve identified is testing new approaches to optimizing the selection of loan repayment plans for students leaving college. Student loan delinquency and default is a growing challenge for those who have left college (whether they earned a degree or not). In fact, 11.5% of people who began student loan repayment in 2013-14 were already in default three years later. In many cases, default may be avoidable through enrollment in income-driven repayment plans, which scale payments to borrowers’ ability to pay. However, up to 80% of people eligible for these plans don’t sign up. Some promising interventions have been tested in this space, but more experimentation is needed to enhance the process through which students choose a loan repayment plan. For example, exit counseling could, in theory, be an effective channel for reaching students with actionable, just-in-time advice about the loan repayment plan that’s right for them. Unfortunately, as of now, the channel is not optimized, lacks personalization, and overloads students with information. Both researchers and practitioners can contribute to the existing knowledge base by exploring new approaches to guide students through loan repayment, and by measuring effects of those approaches on student financial health. These and other opportunities are detailed in our new brief: Insights and Opportunities: College Student Financial Health and Behavioral Science. We hope that it serves as a starting point for practitioners, funders, and other stakeholders to take fuller advantage of the power of behavioral science to improve student financial health and, ultimately, college completion and a better path toward success in their post-college lives.